Club Head Speed is, as the name suggests, a measure of the speed of the club head at impact with the ball. Why is Club Speed Important? All other things being equal the faster the club head is moving at impact the longer the ball will travel through the air. 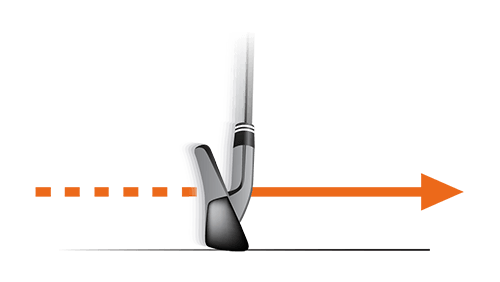 Trackman research has shown there is a direct correlation between your club speed and handicap. Club Speed is the speed the club head is traveling immediately prior to impact. More club speed equals more potential distance. In fact, adding 1 mph of club speed can increase your distance by up to 3 yards with the driver. The highest recorded club speed is 150 mph! This was accomplished by two-time world long drive champion, Jamie Sadlowski. The club head speed you generate is influenced by many things from equipment to technique. In order to maximise club head speed you need to ensure all the influencing factors work together. What can Cool Clubs do to increase Club Speed? Our golf club fitting process is designed to get the best performance we can for your individual swing. To maximise club head speed (if that is one of your goals) we look towards reducing head and shaft weights as much as possible whilst ensuring you do not overpower the shaft. This alone can make a significant difference to your club speed.